Mamasons Dirty Ice Cream is dropping a limited-edition tee to celebrate Valentine's Day. LEON teased a giveaway of the LOVe burger on the 14th. 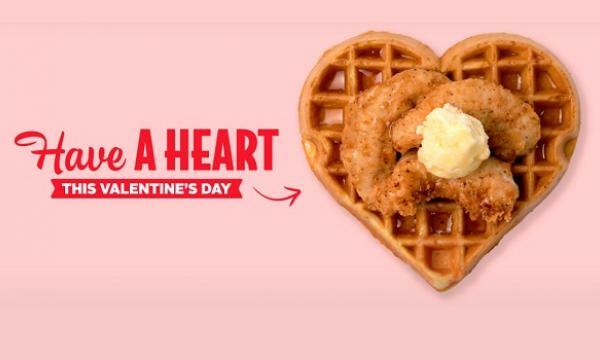 Slim Chickens launched their limited-edition chicken & heart-shaped waffles. The Naked Deli and Patisserie Valerie unveiled new ranges in celebration of Valentine’s Day. Gaucho launched a promotional campaign where gave away 2 tickets for the Six Nations Rugby England VS. France soccer game.